With its comfortable rooms, the SensCity Hotel Berlin Spandau offers a friendly ambience in bright, classic rooms. From every of our 69 rooms, you can look into the green. Enjoy the peace and quiet after an exciting day in the capital and sleep in one of our quiet SensBase rooms. The SensBase rooms are classic and functional. By booking this category, you can choose between smoking and non-smoking rooms. The approx. 20.00 sqm rooms have a bathroom with shower, WC and hairdryer. The light-flooded living room is generously equipped with a desk, flat-screen TV and telephone. In the rooms Wireless Lan and telephone calls to the German landline are available free of charge. 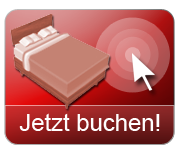 Book your room in Berlin from 59.00 EUR per night. The pleasant design of this category contributes to the cozy ambience. All SensAll rooms are on our top floor and have a great view of our quiet, green courtyard garden. All SensAll rooms are non-smoking. The approx. 22.00 sqm large rooms have a bathroom with shower, WC and hairdryer and cosmetic mirror. The light-flooded living room is generously equipped with a desk, flat-screen TV and telephone, minibar and a coffee / tea station in the new design. An extra head pillow set provides an even more comfortable sleep. In the rooms are Wireless Lan and telephone calls to the German landline free of charge available.